NEW YORK, Feb. 5, 2019 /PRNewswire/ -- The growth of the injectable nanomedicines market is attributed to the growing use of liposomal drugs and increase in treatment seeking population across the globe. According to a latest research by the company, the global liposomes market is expected to account for revenues over US$ 300 Mn in terms of value by 2026 end. Injectable nanomedicines market is expected to witness significant growth with CAGR pegged at 8.1% through 2026. Manufacturers of injectable nanomedicines are targeting chronic diseases and cancers. Revenues from North America injectable nanomedicines market is expected to expand at significant CAGR and it is estimated to remain as dominant regional market for injectable nanomedicines due to large presence of hospitals and advanced healthcare facilities. Europe is also expected to be one of the leading regional markets for injectable nanomedicines as most of the major academic research institutes and R&D institutes for specialized drugs are located in the region. An ageing population and increasing prevalence of chronic illnesses is estimated to lead to rising demand for injectable nanomedicines. Injectable nanomedicines are considered as an emerging field with many companies spending on R&D to explore this field in greater depth. There are both small and established market players investing in injectable nanomedicines. Majority of injectable nanomedicines were produced by small pharmaceutical companies which were later acquired by established market players. Small pharmaceutical companies are exploring nanotechnology to develop advanced drugs and technologies. For instance, Pfizer collaborated with BIND Therapeutics Inc for the development of nanoparticles, called Accurins. The growing adoption of injectable nanomedicines for cancer treatment is expected to boost revenues generated from injectable nanomedicines thereby boost the growth of the global injectable nanomedicines market. Cancer is one of the leading causes of deaths globally, with approximately 1,688,780 new cases and 600,920 deaths in 2017. Researchers note that efficacy of traditional cancer therapeutics is often modest to negligible owing to the low specificity and stability. For obtaining optimal therapeutic effects, the right drug should be delivered at the targeted microenvironment at the right time with the right concentration. Injectable nanomedicines are advantageous over all the conventional medicines for cancer therapy. Injectable nanomedicines contain drugs loaded in nanoparticles, which help to overcome the biological barriers, improve the efficacy and reduce morbidity. These medicines further improve the bioavailability and toxicity profile of cancer treatments. All these factors are projected to drive the growth of the global injectable nanomedicines market during the forecast period. The global injectable nanomedicines market is segmented based on drug type, applications, and end user. Based on drug type, the injectable nanomedicines market has been segmented into liposomes, micelles, nanocrystals, polymeric nanoparticles, metallic nanoparticles, mesoporous silica nanoparticles and others. The liposomal drug type is projected to be the leading segment holding maximum share in the global injectable nanomedicines market. Liposomes mimic biological cells and are highly biocompatible, which makes them an ideal candidate for a drug delivery system among global injectable nanomedicines manufacturers. Based on application, the injectable nanomedicines market has been segmented into cancer, central nervous system disease, cardiovascular disease, infection control, inflammatory disease and others. 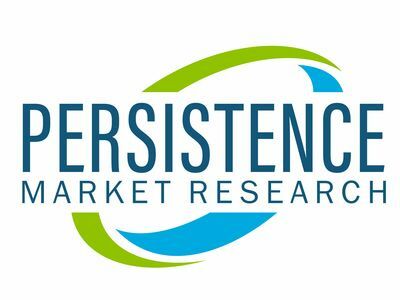 In terms of revenue, cancer application dominated the global injectable nanomedicines market in 2017 and is projected to continue to do so throughout the forecast period. After cancer, CNS application is expected to account for significant share in the market. The global injectable nanomedicines market is competitive, with large number of players. However, availability of adequate sterile drug manufacturing facilities is estimated to pose serious problem in injectable nanomedicines market throughout the forecast period, especially in emerging markets. Examples of some of the key companies operating in the market are Pfizer Inc., Merck & Co, Inc., Lupin, Janssen Biotech Inc., Hoffmann-La Roche Ltd., Amgen Inc., Teva Pharmaceutical Industries Ltd., Pacira Pharmaceuticals Inc., Celgene Corporation and Bausch & Lomb Incorporated, among others. The information presented in this review is based on a PMR report, titled "Injectable Nanomedicines Market Segmentation by Key Players - Pfizer Inc., Merck & Co, Inc., Lupin, Janssen Biotech Inc., Hoffmann-La Roche Ltd., Amgen Inc., Teva Pharmaceutical Industries Ltd., Pacira Pharmaceuticals Inc., Celgene Corporation and Bausch & Lomb Incorporated- Global Industry Analysis, Size, Share, Growth, Trends, and Forecast 2018 - 2026."